We are thrilled to showcase a whole lineup of new products that we've been working on. Starting with our Mini Gift Kits! They will be up on the site shortly - just in time for the holiday season! A lot of our clients wanted to sample our products, and we thought it was the perfect time to put them together! 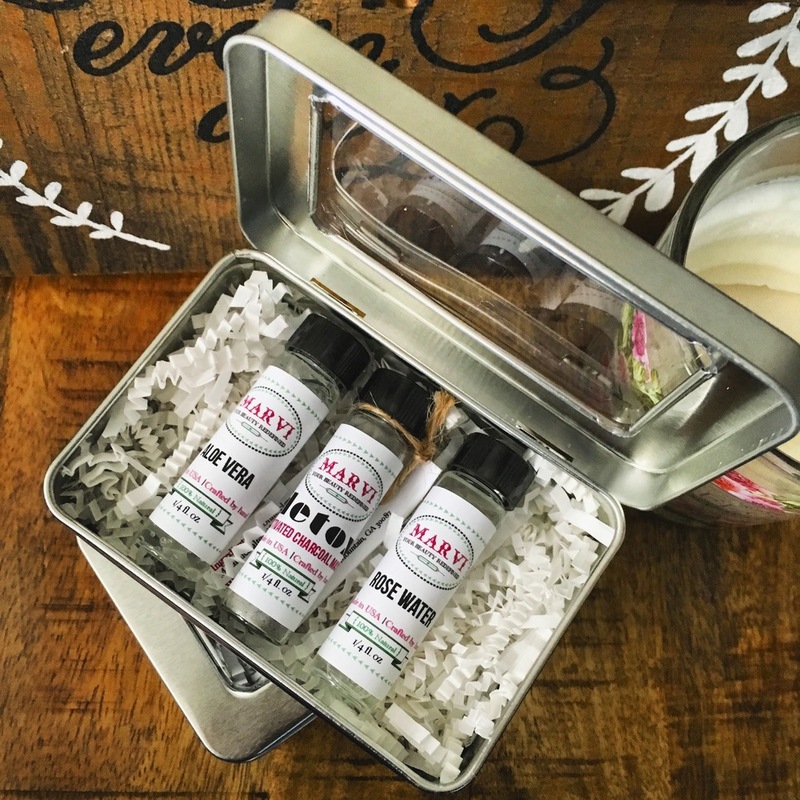 Our Mini Gift Kits come in a variety of assortments, such as, the Mini Activated Charcoal Kit, which includes: Aloe Vera, Activated Charcoal Mask Sample and Rose Water. We recommend mixing a small amount of each and applying it to your face once a week.